MG Motor India will be launching their first offering, the Hector SUV in June this year. The company has now signed MoUs with five banks, namely Axis Bank, HDFC Bank, ICICI Bank, Kotak Mahindra and Yes Bank to offer different financing options to its customers and dealers. The MG Hector SUV will be the first product that will offered with financing options from these banks. This will then extend to the other upcoming offerings from MG Motor India. "Joining hands with the largest financial institutions in the country will facilitate credit to our dealer partners and customers. Through these partnerships, MG Motor India will offer term loans to its customers while also facilitating inventory funding and access to credit solutions for its dealerships," commented, Gaurav Gupta, Chief Commercial Officer, MG Motor India. Earlier this year, MG Motor India had announced the Harrier name for its SUV. 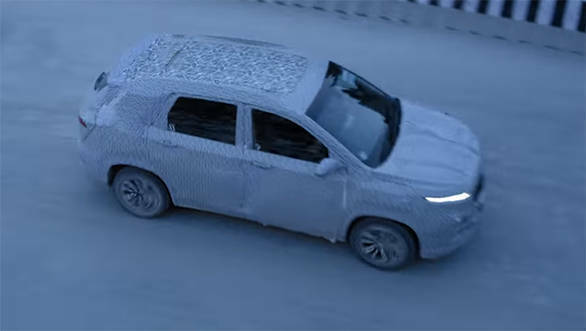 While most of the details are still under wraps, it is known that the SUV will be sized larger than a Hyundai Tucson, and will possibly offer seven seats as well. We can expect to see MG's Star Rider grille and sleek headlamps, as seen on other MG models like the similarly sized HS. The latest crop of MGs offer slick an all-digital instrumentation on a 12.1-inch screen, with a 10.1-inch touchscreen for infotainment, apart from the signature turbine-shaped air-conditioning vents on the far edges of the dashboard. While its main rival will be the Hyundai Creta, the Hector will also come with class rivalling features like Android Auto, Apple CarPlay and MirrorLink, panoramic sunroof, cruise control, traction control etc. to take on the likes of the Tata Harrier and the Jeep Compass. MG will have 100 sales and service touchpoints in place by May 2019. MG will localise the components heavily, 75 per cent to be precise to price the Hector aggressively against the competition. We believe the pricing of Hector could start at Rs 15 lakh onwards.